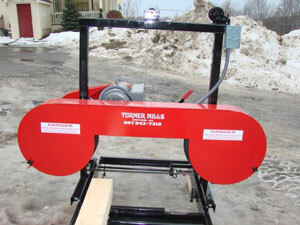 The Turner Ground Model Mill a not a lighter built, slimmed down version of our band mill. 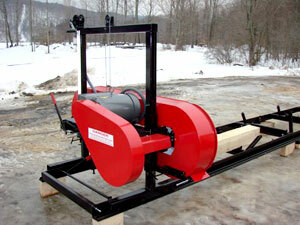 It is the same heavy duty sawhead we use on all of our mills. 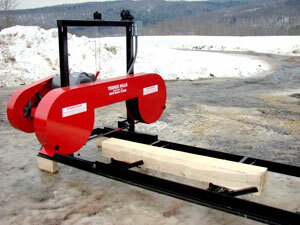 Includes a 20' track and 4 log clamps. 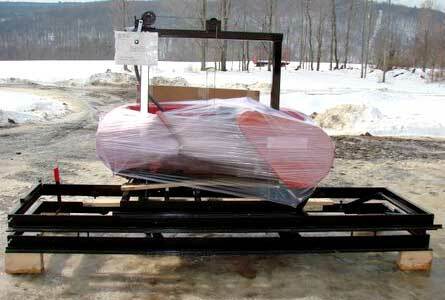 This unit can be upgraded with a wheel kit and hitch to ease in portability. The 20' track can be made sectional to ease in shipping cost. 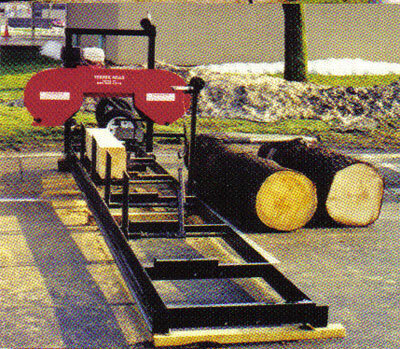 Log loading is as easy as it gets being the unit is only 6½" tall off the ground and has 8 adjuster feet to aid in leveling the track.